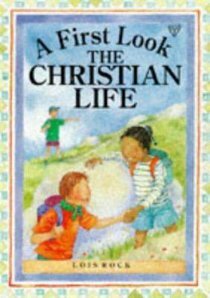 This child-centred approach to Christianity is suitable for use in schools, churches and at home. There are 13 double-page spreads, each explaining a key idea about a topic. An everyday theme is taken that children should recognize and understand through the simple words and pictures. This introduction forms the basis for explaining the key information about Christianity. Frequently, there is a quote or paraphrase from the Bible. There is also an introductory spread and a closing spread. The latter provides a summary and ideas for finding out more through reading suggested Bible extracts. ;This is an examination of the Christian life. - Publisher This book explores the very basics of living as a Christian: faith, hope and love. Aimed at 5-8 year olds, it is ideal for use in schools, churches and at home. About "The Christian Life (First Look Series)"
This book explores the very basics of living as a Christian: faith, hope and love. Aimed at 5-8 year olds, it is ideal for use in schools, churches and at home.